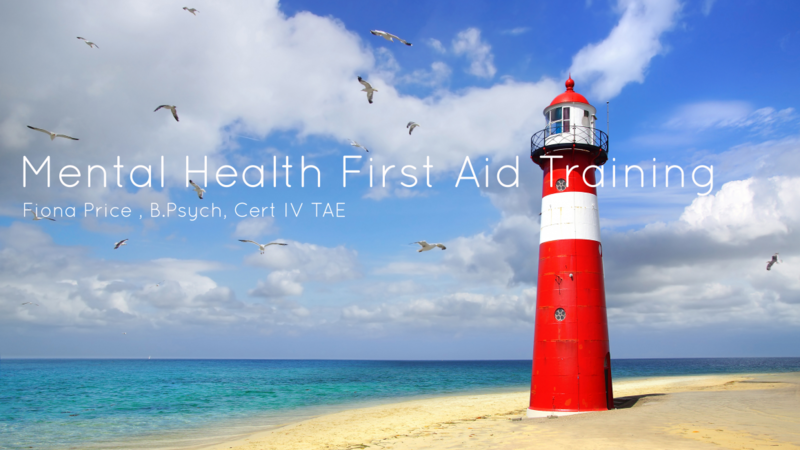 Mental Health First Aid is a 12-hour course (over two days) which is open to the general public. Just like regular first aid it gives you the skills to support someone until they get professional help or the crisis resolves. Recognise the signs and symptoms of mental health problems. Support someone to find effective help. Respond to suicidal thoughts and behaviours. Have appropriate boundaries & self care. Recovery is possible for people with mental health problems. Your support and understanding can make all the difference. if a friend or colleague suggest it. * This includes the 12 hour course, comprehensive manual, certification and morning tea. I also run courses in house for organisations and can come to your office and run it for your staff.